WRC legend Sebastien Loeb has been away from the series for a little while now, tackling other racing disciplines, but he made his return at a test on Tuesday. The Peugeot driver is currently running a rallycross and Dakar programme, having previously competed in the World Touring Car Championship after his WRC exit. He last competed in the WRC two years ago at Rally Monte Carlo, but was drafted in to help Citroen develop and improve its C3 WRC beast ahead of Rally Germany. Tuesday’s tarmac test in the Moselle region of France with long-time co-driver Daniel Elena marked their first run in a new, 2017-spec WRC car. 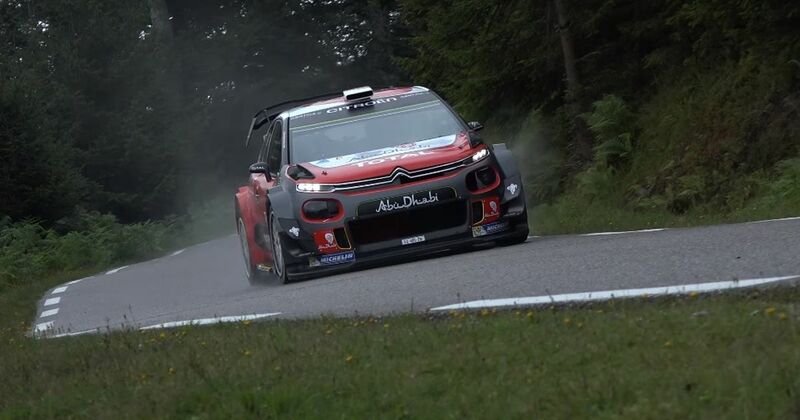 As you can see in the video above, posted on YouTube by the RFP Production channel, Loeb was giving it everything in challenging, slippery and damp conditions. Citroen has had a tough time with the C3 WRC so far this season, but if anyone can help the French manufacturer out, surely it’s Loeb.